There are very few places on the planet to visit a live volcano. Volcanoes National Park, created in 1916, encompasses 330,000 acres and spans from sea level to the top of Mauna Loa at 13,677 feet. The majority of the park is designated as wilderness area so it provides great hiking and camping opportunities. Even for those non-camping types, there is still plenty to do in the park. The park is easy to find. From Hilo, drive south on highway 11 for 30 miles (about 45 minutes). From Kailua-Kona, drive south on highway 11. You will drive around the southern end of the island. 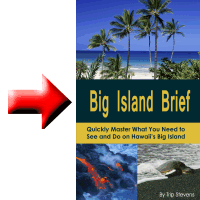 The total drive time from Kailua-Kona is from 2 to 2 ½ hours (96 miles). You could also drive north from Kailua-Kona around through Waimea for a longer trip (2 ½ to 3 miles). As you get closer and closer to the park, you will see more signs showing how to get to the park. It is well marked. 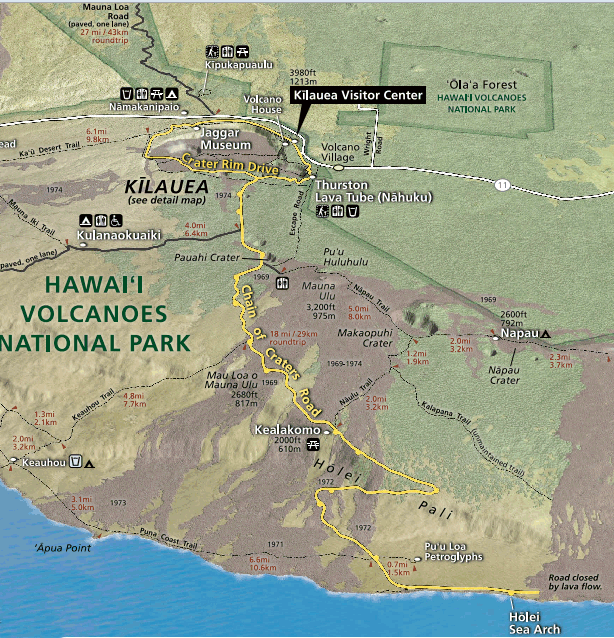 Your first stop in the park should be to the Kilauea visitor center. There you can see maps of the park, talk with the park rangers, and plot out your visit to the park. There are plenty of hikes and scenic vistas and stopping points in the park but often portions of the park are closed due to poor air quality. Check in at the visitor center to learn where you can go and what you can do on your visit. The two main roads in the park are the Crater Rim Drive and Chain of Craters Road. Crater Rim Drive circles around the Kilauea Caldera. The majority of visitors drive around that loop and leave the park. But they miss possibly the best part. The Chain of Craters Road has many things to do along the way. You could spend weeks exploring this part of the park. The actual length of the road varies from source to source and changes daily with lava flows. You should count on about 20 miles. The road has many offshoots that allow access to different volcanic views such as plumes from lava tubes, pit craters, dormant lava flows, and best of all, active lava flows. If you plan to hike in this area, you should visit early in the morning. If you plan to watch the lava flows, most people show up near sunset. 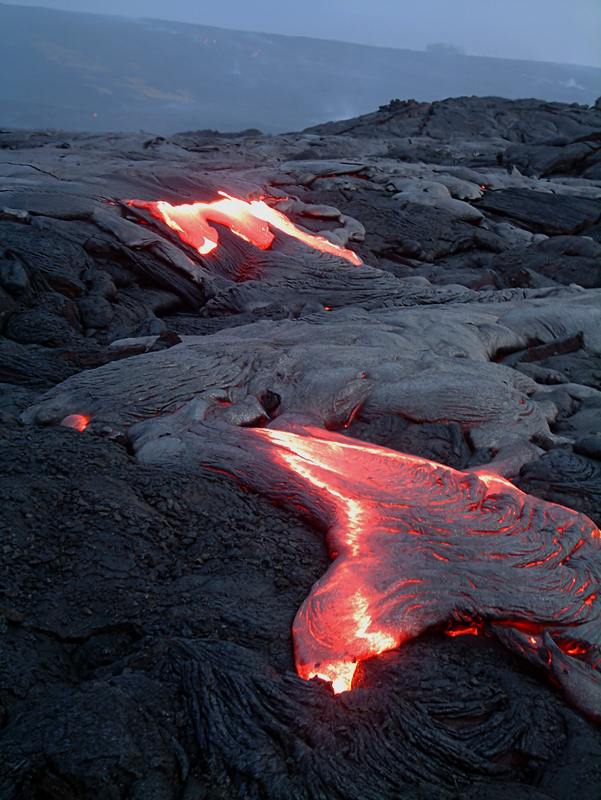 The red lava is not nearly as impressive during the day when it is competing with the sun’s white light. There are no services along this road so make sure you have all the food, water, and gasoline for your entire trip. Outhouse-class toilets are available at the end of the road. While you can negotiate this drive with a two-wheel drive vehicle, it is advised that for some areas, you may need a high-clearance vehicle. Volcanoes National Park is open 24 hours a day, year around. Entrance to the park is $10 and gets you a pass good for a week. If you have a limited amount of time, take in one of the volcano overlooks and hike through the Thurston Lava Tube. If you are the adventurous type, plan on spending at least one day there. There is just so much to see and do. Before you go, you may want to check the park website for advisories and to see if any areas are closed. You would also learn this information from the visitor center, but if you like to plan in advance, the website is well worth a visit.